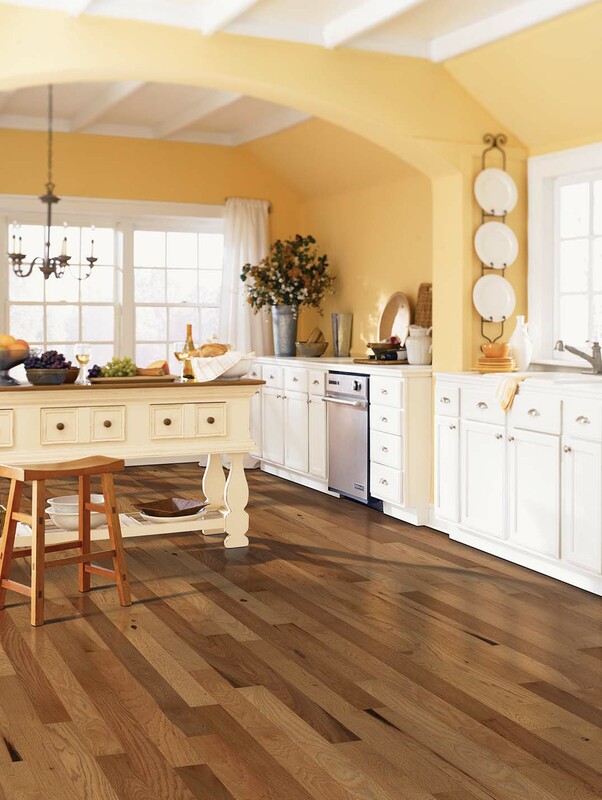 Timeless charm of natural hardwood. Classic sophistication of oak graining, vintage weathered and time-worn visuals, unique wire brushing, heavy hand scraping… the natural beauty found in hardwood. The different species of hardwood, from traditional Oaks and Hickory, to exotic looks of Walnut and Acacia, each one offers character rich distinct details. Traditional honey tones add warmth to the room, while enriched colors give a more dramatic and sophisticated look. Popular multi-step staining creates a vivid color palette including fashion forward grays and chocolate hues that don’t complete with other colors in the home. Solid hardwood is best for climate and humidity controlled rooms to allow expansion, while Engineered hardwood resists expansion and contracting caused during seasonal change resulting in more installation options. We have both types in stock and available in a variety of widths, from narrow 2.25” and 3.25” planks to wider 5” and 7” planks for a more expansive look.